Situated between Faversham and Canterbury, Boughton Golf Club takes great advantage of its naturally picturesque setting. 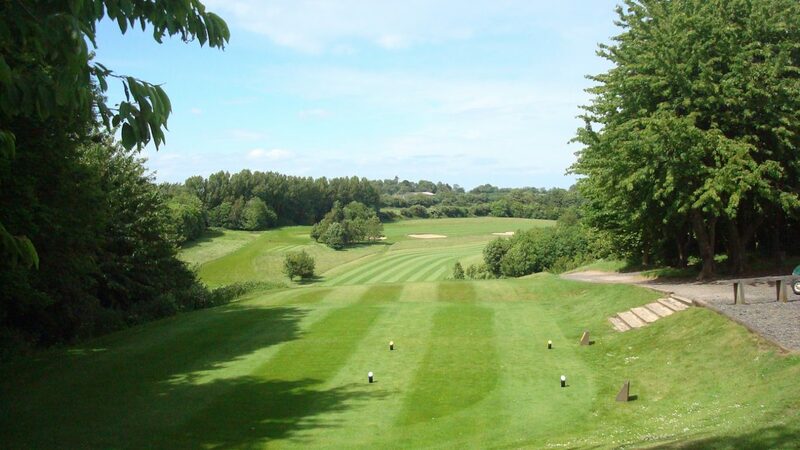 The 6,699 yard course is laid out over 160 acres of naturally-undulating terrain and offers fine views over the tranquil Kent countryside and Thames Estuary. Built in 1992, Boughton has excellent facilities available, including a covered driving range with adjoining practice area, and a nine-hole Academy course. Set in 25 acres of orchard, Boughton has quickly established itself as a popular choice for societies, providing a real challenge to golfers of every standard. Arranged in two loops of nine holes, starting and finishing close to the clubhouse, the course offers generously-sized greens and tees, and the natural drainage qualities of the land, together with the irrigation system, ensures the course is normally playable year round. Boughton’s spacious, attractive clubhouse, built in the style of a traditional Kentish barn, is now complimented by an onsite 40 bedroom Boutique hotel. Pentland Golf offers all societies: retail discounts, an adverse weather guarantee and one central booking point. 24 or more golfers, 4 PLAY for free. Leave M2 at Junction 7 taking the A2 towards Canterbury and take the first exit signed to Boughton. On site Cavehotel opening Spring 2019.